It's time to ride the Banana in Destin for one great price. 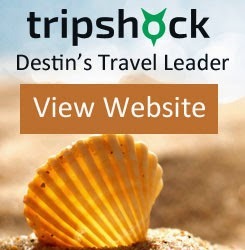 Book a Destin banana boat ride on TripShock.com for a $25 Summer 2014 special. Grab some of your friends and family and get ready for an action packed ride full of waves and wipeouts. Thanks for sharing this article here about the boat rental services. Your article is very useful for those who are looking for the affordable Boat Rental Service Online. Keep sharing this type of information here.